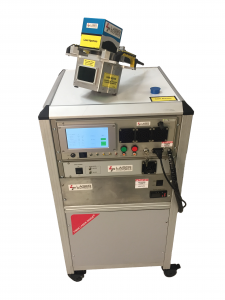 CleanTech™ Handheld LPC-1000CTH is a high performance, industrial-grade, fast, precise and incredibly productive laser cleaning tool. It is designed as a super compact, Industrial Grade Professional level laser cleaning and surface treatment system for medium-sized areas requiring delicate cleaning, de-painting, and other surface preparation operations. Microprocessor controlled, the system is instantly ready when the key is turned ON. The touch screen allows you to choose among the 5 pre-designed cleaning patterns – all while being a water-cooled laser system. Heavy-duty industrial design is based on years of experience building Hand Held Lasers for marking and engraving applications. No PC needed. Laser cleaning is applicable in nearly every industry and can be applied to glass, ceramics, metals, concrete, plastics and much more. Laser cleaning is a non-contact, environmentally friendly process for removal of surface coating from metals, concrete and delicate substrates such as composites – with minimal impact on the base material. Laser Photonics’ portable system expands the cleaning from the floor to the field. Laser cleaning and removal can be applied to surfaces of bridges, aircraft, large vehicles, trains, etc – in addition to small parts and sensitive materials. To learn more about how Laser Cleaning works, read our quick Introductory Guide to Laser Cleaning.